Highlighted shows and events are PNNA, ANA or RCNA sponsored or co-sponsored. 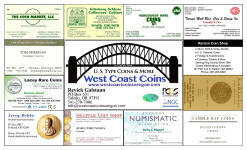 A printed version of the PNNA calendar is available at some coin shows, including the two annual PNNA shows. You can also download the PDF file of the calendar (updated Mar. 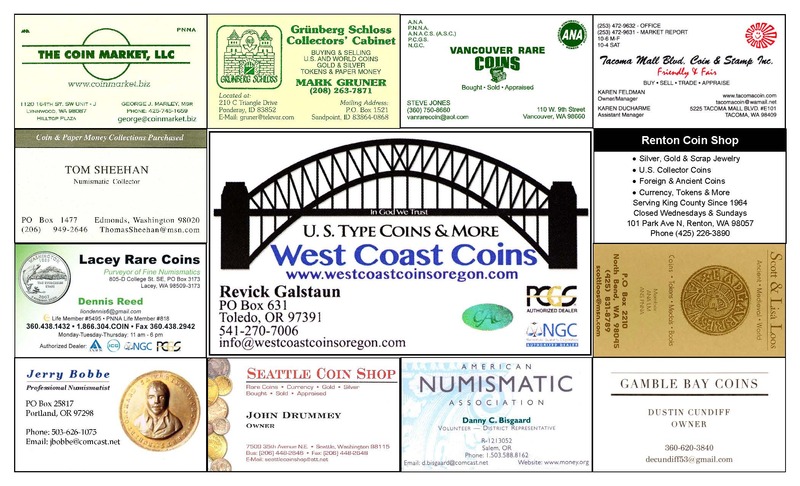 2019), or show organizers can request to have it printed for pickup at a local office store. To see the dealer ads on the back of the calendar at a larger size, simply click on the thumbnail image at left. (This is in color, whereas the PDF is in black and white.) Thank you for your support of PNNA dealers. (two sessions; pre-registration and tuition required to take courses) Colorado Springs, CO ANA Education Dept.